Pakistani artist of the bygone generation has led a star-studded prospect. Whether it is comedy or entertainment, we have had many artists who have done a commendable job. The likes of Moin Akhter, Umer Sharif, Anwar Maqsood, Abida Parveen, Ismail Tara, Shakeel Siddiqui and etc., finish a race apart when it comes to Pakistani artists. But what for the future? Who has emerged to hail the Entertainment and Comedy prospect of Pakistan in future? 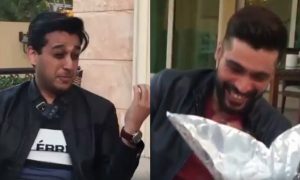 Meet Syed Shafaat Ali, a Pakistani-born and bred comedian and impressionist who is the latest sensation. 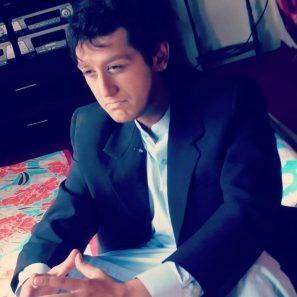 Shafaat Ali was born in Peshawar and is a student of engineering. Shafaat has taken a toll on social media ever since he brought impersonation videos to people. People love him for his originality and he is one of the few emerging artists who are totally about the substance they create. Shafaat Ali, an engineer-turned-comedian used to run an Engineering company with his father. His dedication took a detour into comedy, setting him apart from Engineering and the business. He was prolific at Electrical Power and specialized in Hydel Power. 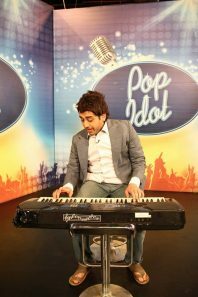 Shafaat Ali kickstarted his career in Entertainment industry back in 2006. He co-hosted the all famous 4 Man Show that first aired in July of 2007. It was directed by Faisal Chaudhry and it remained the talk of the town back then. Followed by, Shafaat Ali co-hosted Banana News Network – this is where he earned a breakthrough in Comedy. 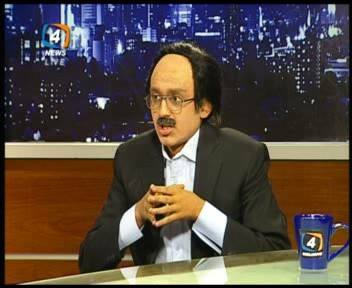 The Banana News Network (BNN) aired on Geo TV was famous for impersonations and unique kind of comedy. It brought the limelight to amateur artists who found a platform to showcase their talent. Shortly after, Shafaat Ali began his own show, it was called, “Mere Aziz Ham Watno”, he starred in it himself. 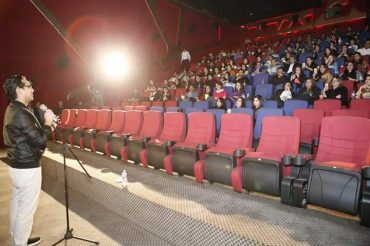 A stand-up artist from Pakistan, a man who dreams a lot has made a sensational start in the popular networks. He has been a part of the Geo TV Network for long and now Khabarnaak, a famous program aired on Geo News. 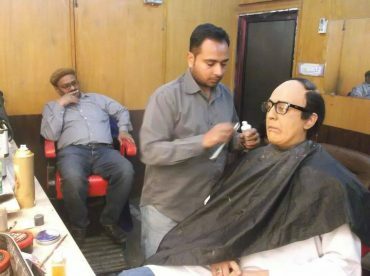 Perhaps the thing to shoot him into sheer popularity are the impersonations of Bilawal Bhutto Zardari, Imran Khan, and Shahbaz Sharif. He posted impersonation videos of these major political figures which have granted a surreal success. His videos went viral overnight and he became a sensation in less than 24 hours. Whoever did not know Shafaat Ali before, got to know him after his videos circulated social media. Since then, Shafaat Ali has made an official Facebook page because his fanfare has quite grown. He frequently posts videos of his impersonations. Mimicking politicians could easily be said the best work he has done and a capacity where he rules. 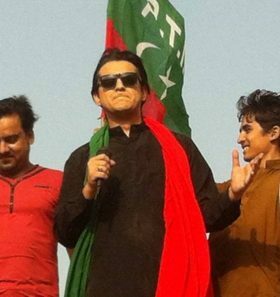 Safe to say, Shafaat Ali is the supremo of impersonations in Pakistan. Prior to making impersonating videos, Shafaat Ali was left clueless about future. This is when he thought about the idea and making it big. His first ever video was much sought-after and was made with immaculate planning. His Engineering degree might not have produced most worthwhile opportunities for him but his initial start in media really helped him. He utilized his connections and already built a network that would talk about him after he creates his first video. Planned work just accordingly and he was rose to success in no time. Shafaat Ali has hit it personal with his impersonation videos. Imagine the radius where the interest lies in people about politicians and making jokes out of them. Impersonation is his major gig and he targeted what apparently is bound to get noticed, making him a genius at his work. However, patrons and followers of politicians he has impersonated have not taken his account lightly. Shafaat Ali has openly argued about the terms of critics and hate from people towards his impersonations. He ought to take it lightly but sometimes people get really offensive. Yet, he has received positive feedback from many politicians which comes off as a mighty shock, considering any one of them could be mimicked by Shafaat Ali any time. He openly claims that many politicians are kind enough to commend and endorse his work. 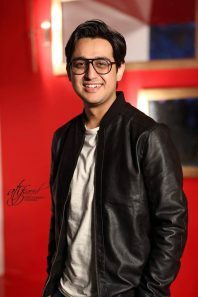 Ali has performed both international and national platforms. He does not seem to find a larger difference in both the prospects since politicals work the same in both segments and with all kinds of audience. Around the world, who does not like to take a dig at politicians? There are always a large number of supporters as well as opposition and neutral parties prevail too. It is a perfect blend where everyone can enjoy. Stupidity has no language unless it is blended with love, then it comes a whole medium. You all must be thinking why Shafaat Ali has not mimicked Prime Minister Nawaz Sharif yet? Is he a supporter of PML (N)? Well, for him, impersonating our Prime Minister has been the hardest. He tells it to people that impersonation is not easy and the things it does to your throat are not very welcoming. He could almost warn anyone about what could happen to their throat should they decide to hit impersonation comedy. How has he taken a toll on people? Shafaat Ali is hitting in personal terms, so why must he not be loved by all people? His followers have sky-rocketed on his social media profiles. He is constantly being acquired if he is doing shows in town or anything alike. 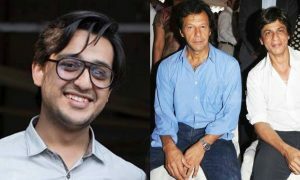 There are not many artists in Pakistan who have found success in impersonation and stand-up comedy. Those who exist are totally different in their respective gigs. 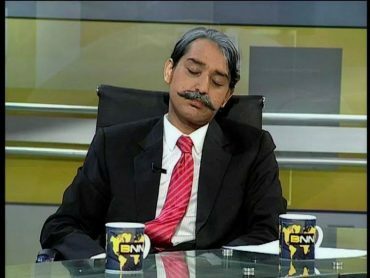 Shafaat Ali is known to be ‘the guy who impersonates politicians’ and that is what works for him. In the minds of Pakistani people, he is the best at his work. Talk about competition, he has not faced any competition at all so far but the same cannot be said about the future. 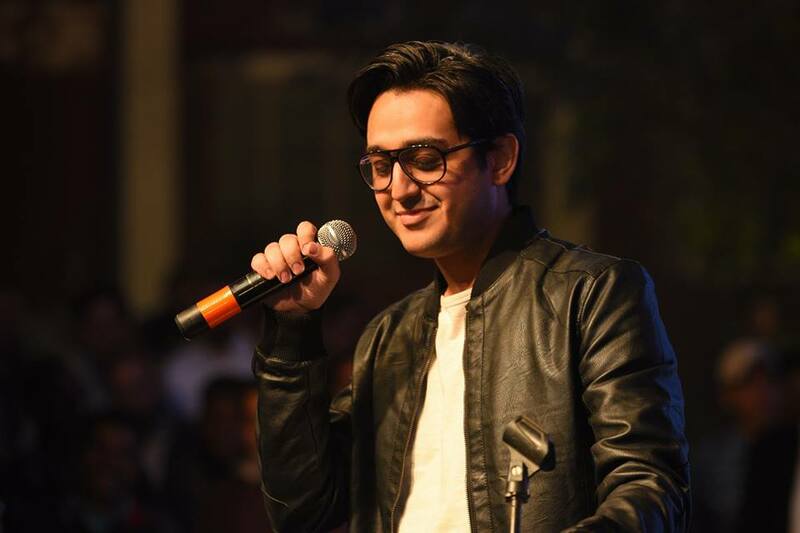 It is inevitable that many emerging artists would aspire to build themselves up in the capacity Shafaat Ali prevails – he is indeed their inspiration. 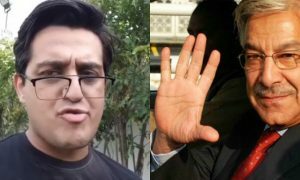 This Video by Shafaat Ali on Khawaja Asif’s Disqualification Is the Best Thing You’ll See Today! 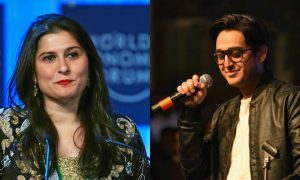 Syed Shafaat Ali Slams Sharmeen Obaid with a Message Dubbed in Absolute Humor!